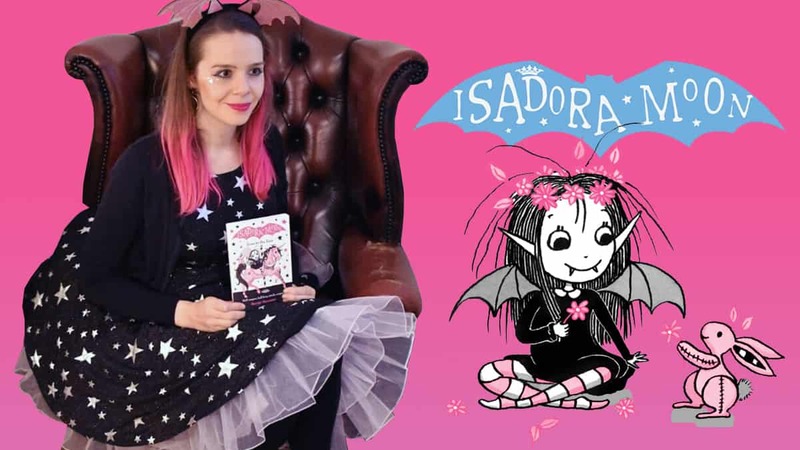 Harriet Muncaster, author of the Isadora Moon series, chats to Bex in The Club! Harriet Muncaster popped into the Fun Kids studio to chat with Bex earlier this week! Harriet is the author and illustrator of the Isadora Moon book series, which is all about a girl who’s half vampire, half fairy! Her mum is a fairy and her dad is a vampire, and Isadora loves the night. She also loves bats, and the colour black, using her magic wand, and the colour pink! With her magicked-to-life stuffed Pink Rabbit, join her on her adventures as she meets wizards, mermaids, ghosts, and dragons!